I thought I might report on recent events, especially the July 17 board meeting. The superintendent is exploring a plan to send all Kindergarten students in the district to Mast Way. He will report at the next board meeting. The goal is to even out the enrollment numbers at the two elementary schools in the interest of equity. Dr. Morse seems determined to find a solution that does not involve simply redrawing the dividing line. In tuition news, Deerfield extended its deadline to renegotiate with Concord to September 30th, presumably so they can consider their other options, including Oyster River, a while longer (Concord Monitor). Deerfield appears to be shopping for the best deal, unlike Newmarket, which has an impending building closure to deal with. The tuition for Deerfield students at Concord was $13,926 for the school year that just ended and will be $14,163 next school year. Prospective enrollment numbers are somewhat different than previously thought. Barrington will send 83 next year, up from 63 this past year, and eventually up to 125. (Due to the large influx of Barrington freshman, we expect almost 200 ninth graders in the fall, up from 150 this past year.) Upon agreement, Deerfield expects to send 169 students, 90% of their 188 total. Newmarket expects to send 250. 60 Newmarket students (24%) would be half-day vocational technical students. ORHS currently has 26 votech students (4%). Barrington offers their families a choice of high school, so under the current deal there is no guarantee they'll get up to 125. We're working on a new deal, so this could change. The 83 isn't really all Barrington -- there are four or five non-Barrington tuition students currently attending that I and others tend to lump in with the Barrington students. The superintendent talked a bit about offers ranging from a low of $13,200 to our actual cost, "16+". I find this confusing as the actual cost number includes special education while the low number is probably just for regular education. The deal I would prefer has tuition towns paying our general education cost per student plus 100% of the costs of the special education of the students from that town. Currently Barrington pays the special education costs for their own students. An "actual cost" deal that includes special education costs has the taxpayers of Oyster River taking the risk on special education costs, which I think is less desirable. The most surprising thing to me was the superintendent implied that we wouldn't be seeing our big influx of tuition students (if any) until the fall of 2015 (aka FY16). 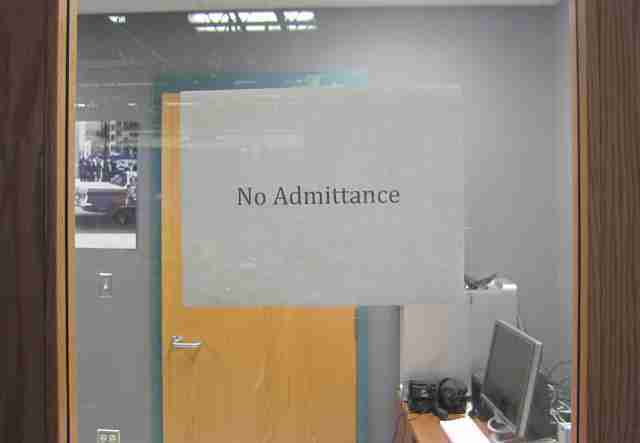 I was under the impression the students would be coming in a year, fall of 2014. Apparently I am just wrong. Here's an article indicating the Newmarket Fire Chief has ordered the high school be abandoned unless $2 million in repairs are completed by September, 2015. The Deerfield/Concord tuition agreement started in the 2004-2005 school year and goes for 10 years, so they may be looking for a new deal to commence in fall of 2014. But there's an automatic renewal clause and a request to terminate has to be made three years in advance, which I don't think happened, so I'm not sure where all that ends up. least expensive option and families make up the difference. Someone mentioned that Barrington had announced tuition rates on their website. I didn't find anything except this slide show from last December which was pretty interesting. Here's one slide. You can find the complete show at the bottom of this page. Mike McClurken has written a report on the recent NECAP results, including from all the potential tuition towns. It's Mike's usual extensive, detailed work and it had some surprising results. These are the most recent NECAP scores by grade. Mike thoughtfully renorms each grade's score as relative to the NH average for that grade, making it possible to fairly compare across grades. You can't rely too much on just one year's results. It would be nice to see if this pattern held up over the last five or so years. As is, the story this chart tells is of Newmarket's teachers being very effective, taking poorly scoring children in third grade and producing students that score about the same as Oyster River in eleventh grade. Interestingly, both Barrington and Deerfield third grades start out better than Oyster River, but we're beating them handily by grades 7 and 8. 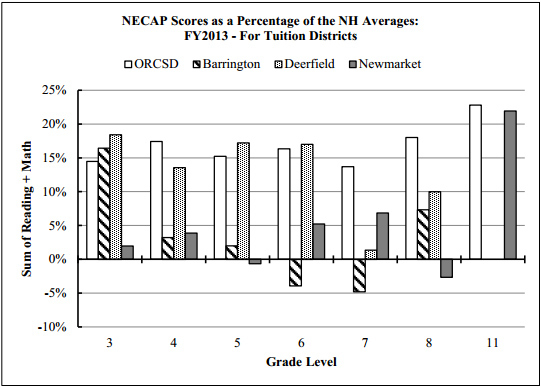 What you can conclude is that Newmarket had great high school (grade 11) NECAP results this year. They were highest in New Hampshire in the percentage of Reading+Math "Proficient with Distinction" students, the cream of the crop. The Newmarket results may not be a fluke, if you believe (as Dr. McClurken does) in the predictive power of the percentage of adults (age 25+) with Bachelor's degrees or higher on academic performance. Newmarket had a remarkable 33% increase in this percentage, going from 33% in 2000 to 44% in 2010. Oddly, AYP (Adequate Yearly Progress) data has yet to appear on the NH DOE site. Last year by May we had seen preliminary results, appealed them and had our win was reflected in the final results. Nobody seems to have even noticed that AYP is late this year, with not even preliminary results released yet. I'm personally interested in whether Mast Way will lose its SINI (School In Need of Improvement) status, which it should if the educational disability cohort made AYP in Reading. RSA 91-A is the Right-to-Know Law. Normally there is no real penalty associated with violating RSA 91-A. The one serious penalty that a judge can impose is an injunction that requires the violator to obey the Right-to-Know Law. It seems redundant -- of course everyone has to obey every law -- but it's what gives the law teeth. Once so enjoined, violating the RTK law means violating the injunction, which opens up the violator to a contempt of court judgement with a potentially serious punishment, possibly including jail. I find it hard to believe that anyone's going to be locked up for sending an email in the normal course of school board business. On the other hand, courts can get pretty indignant when their authority is disrespected (twice! ), so I suppose anything's possible. The only reason the judge ordered the injunction in the first place was that this was the second successful Taylor lawsuit. 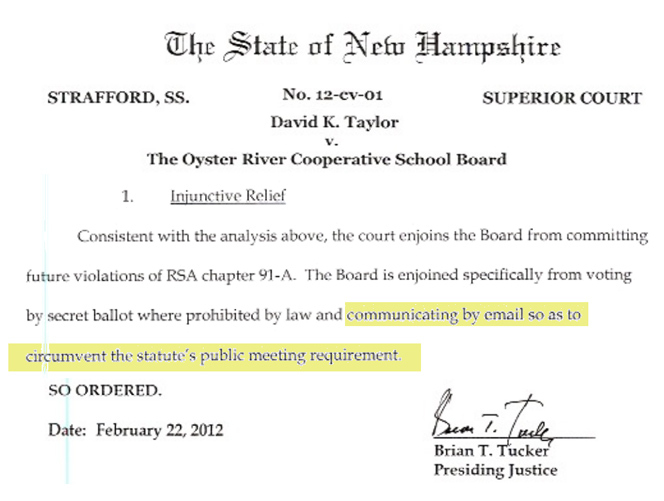 In 2011, a different judge found the board violated the RTK law as Mr. Taylor initially alleged. There were no real consequences, as that judge explicitly declined to order an injunction. She did however make the board promise her they'd never ever ever violate the RTK law again. When they did, the second judge was impelled to impose the harshest penalty available to him. I should point out that no board member serving when the lawsuits were litigated has been reelected in either of the two subsequent elections. If you're keeping score: one resigned, two declined to seek reelection, two lost reelection and two remain, their 3 year terms up in March, 2014. Coincidentally, I apparently had something to do with the alleged unlawful email. 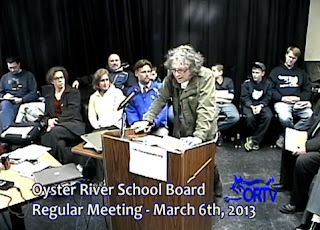 At the March 6 board meeting, I misplaced the jacket I was wearing. On March 13, I had to leave the board meeting early and I stopped in the control room on my way out to ask Ms. Young if she'd seen the jacket. 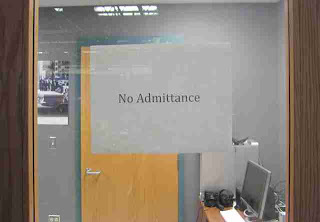 This was a violation of policy, and for this I apologize to the board. Apparently there was some email generated as a result of my breach, and it is this email that is the potential illegal deliberation. The school board has plenty of serious decisions to make, and doesn't really need this distraction. At the start of the meeting the chairman graciously apologized for the matter, and promised more RTK training for the board. At the time I had no idea what she was talking about. Now that I know more, I'm still hoping the matter can be settled quickly and amicably. But I can see Mr. Taylor's point. He worked really hard, spending his own time and money, going to court twice to get the board to take the RTK law seriously. He won both times. Yet, here they are possibly violating it again, allegedly doing one of the two things they have been specifically enjoined from doing. It's exasperating. Now I'm sure you're all wondering who wrote the alleged errant email. The board member's name didn't come out at the public meeting, so I'm not going to say who it is here either. Update 7/30: I had another chance to watch parts of the school board meeting again and I thought I should make my own position on this matter very clear: I would very much like this RTK issue to go away as soon as possible. The board has serious business to attend to and this is a distraction. I read the email in question and it is really only a reminder of existing policy. I'm kindly referred to as "the individual." I'm not a lawyer, but it doesn't look like deliberation to me. (You're not allowed to deliberate over email because it's not public enough.) Apparently there are two lawyers' opinions that agree the email is not a violation. I don't know why David wants to press ahead. Certainly wandering into the video booth against policy is on a different level than a select subset scheming to surreptitiously swap superintendents. There's no reason to believe anyone was trying evade disclosure here. I don't like involving the courts unless there's something really egregious going on. Especially now, when it's so serious because of the injunction. Who's ever going to want to serve if they're worried about going to jail for sending email? I have found that election day offers sufficient opportunity for redress. I knew it was against policy when I went into the booth. I wanted my jacket and I was willing to face the consequences, which I imagined would be a gentle scolding from Chairman Barth. I enjoy her company so much that this would hardly be any punishment at all. But I never dreamed it would be another court case. I am so sorry. I want to apologize to Chairman Barth for precipitating this mess. I feel partially responsible for getting Maria to serve, and I never want to hurt her or even cause her any extra work. Because of the blog it happens sometimes, and I always feel terrible about it. I would deeply regret it if there were any actual legal consequences to the chairman or any board member as a result of my action. David, I hope we can disagree about this matter and remain friends. I think everyone involved should sit down together and "make nice" as my grandma would say. I'm hopeful there's a way to resolve this amicably and unite the community in the process. Then maybe we can start thinking about how to get this injunction lifted. I am wondering what the Newmarket dropout rate has been in recent years. A significant rate can effect grade 11 NECAP outcomes. Oyster River has had a 0% dropout rate for the past several years, which is a wonderful statistic when considered in combination with ORHS NECAP scores. No 2013 data yet. Thought we had 0 for 2012, but ORCSD has 1. Dean, thank you for diligent reporting - especially over the summer! I wish that I had found your blog a month ago! FYI, the state sets the drop out age and it is set at 18 years of age. I don't believe this affects anyone's grade 11 necap results. And I don't think the drop out rate holds as much relevance as a result.